BYJU’S being the creator of India’s largest personalised K12 learning app and India’s largest educational company offers highly effective, adaptive and engaging learning programs for students from classes 4-12 grades and competitive exams like JEE, NEET, CAT, IAS, GRE and GMAT. BYJU’S was launched in 2015 and has become the most preferred and loved learning app for students across age groups. 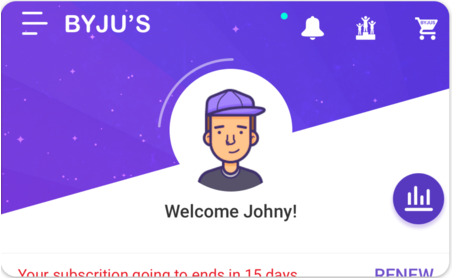 BYJU’S the learning app makes use of original content, interactive simulations, engaging and rich in animations video lessons from India’s best teachers. Today, BYJU’S has over 21 million registered students and 1.26 million annual paid subscriptions. With an average time of 64 minutes being spent by a student on the app every day from 1700+ cities, the BYJU’S app is helping millions experience enjoyable and effective learning. At BYJU’S, our core strength lies in creating high quality learning modules and interactive videos across grades. Offering an engaging and effective learning experience, the app creates personalized learn journeys for individual students based on their proficiency levels and capabilities which helps them learn at their own pace and style. We have even transformed the one-to-many learning model to one-on-one personalized learning experiences through our app, setting a benchmark in education technology nationally as well as globally. At BYJU’S, what has helped us create a holistic learning experience for students is the unique combination of media, technology and content.. With the use of technology and real life teachers – it makes the delivery of concepts very easy, effective and engaging. In fact, teachers play a crucial role to keep students engaged through the video lesson and give them the ‘someone who they can relate to’, and ‘someone who can explain the concepts’ to them in a fun, simple and engaging way. Overall, BYJU’S is pioneering personalized learning based on size and style of learning of every student. 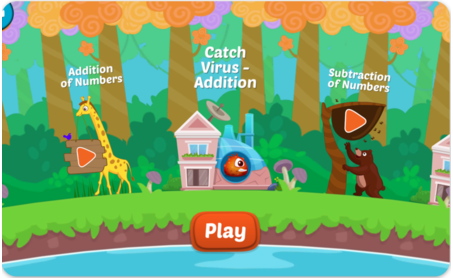 The app merges videos, interactives and teachers to bring concepts to life. With an average time of 64 minutes being spent by a student on the app every day, the app has become the most loved and preferred education app for students across age groups. BYJU’S learning program is a complete learning experience that integrates classes from the best of the teachers (who are empowered by tech enable teaching tools), assessments and assignments which are personalised for every student, along with in-depth analysis and recommendations. The backbone of BYJU’S personalization engine is the rich learning profile that is built for every student. This is powered by deep Knowledge Graphs of over 1 lakh concepts and relationships that have been created to design personal learning journeys – videos, questions, adaptive flows, quizzes, flashcards, correctional learning videos etc. Additionally, the learning content is also tagged to multiple other properties and parameters. For example – When a student starts going through their learn journey, a rich learning profile is built for each student to personalize the experience. This enables us to customize the learning experience for students based on their strengths and weaknesses and their specific learning gaps, pace and needs. The content is tagged at the sub-micro concept level and this helps the algorithms create a smooth learning curve for the student so that they feel challenged yet motivated. Whenever they make a mistake, we identify the right remedial method to strengthen the student’s learning experience.